I'm a textaholic. One of the problems with being a textaholic is that your device just can't keep up with you. I tend to text multiple people at the same time, and switching back and forth between conversations on my iPhone is extremely tedious. Any time I want to enter a new conversation, I have to back out of the current one, then select the new one. Why is there not an easier way? If you haven't taken the plunge into iOS 7.1 world, chances are your jailbroken, or you can at least jailbreak your iPhone still. 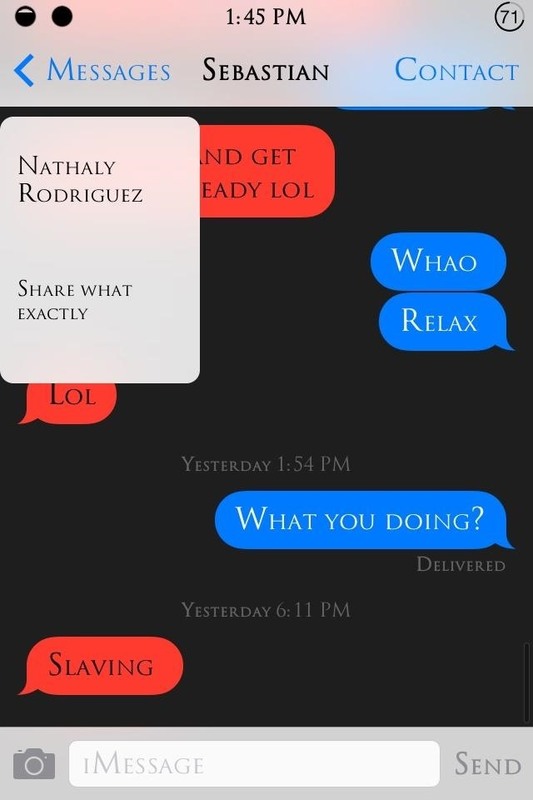 If you're a textaholic like me, chances are you will after you see this tweak. I've already shown you how to customize the text bubbles in Messages, and quick reply and compose texts from any app, but this tweak optimizes your device's functionality to make jumping from conversation to conversation as easy as a simple swipe. 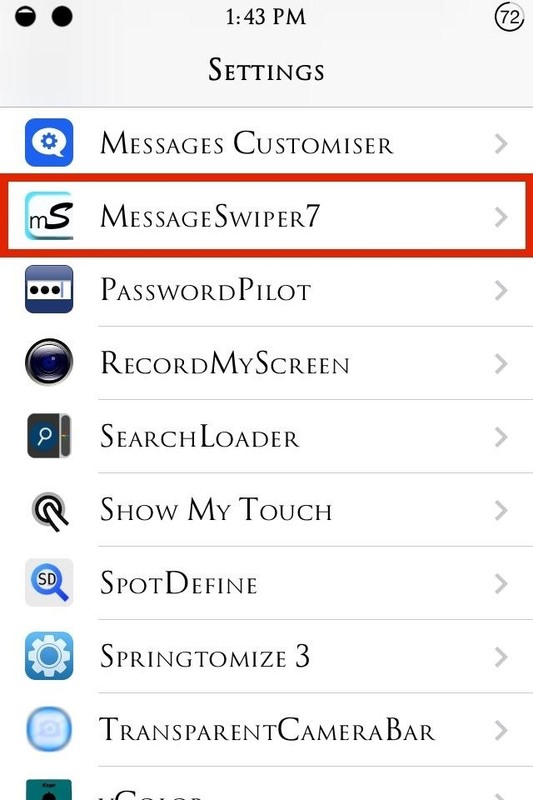 On your Jailbroken iPhone, head to Cydia and install MessageSwiper7. 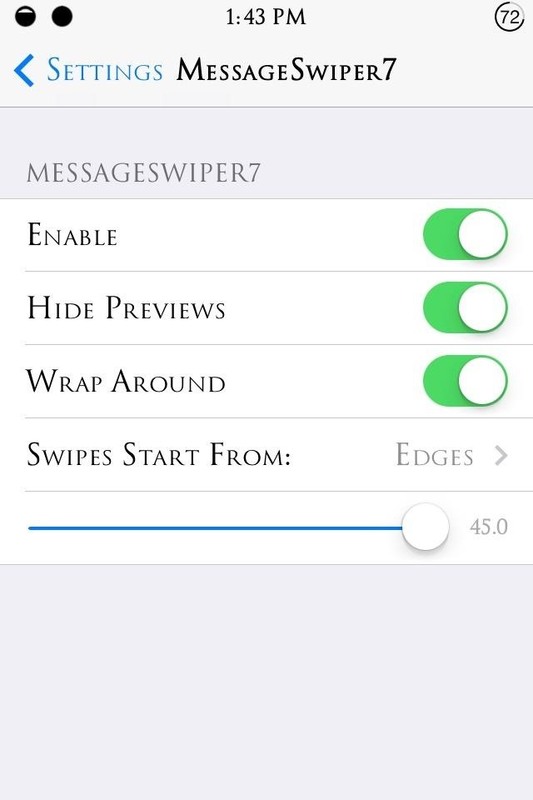 Enter you iPhone's Settings app and locate the MessageSwiper7 preferences. From the settings, select Enable so you can start swiping. 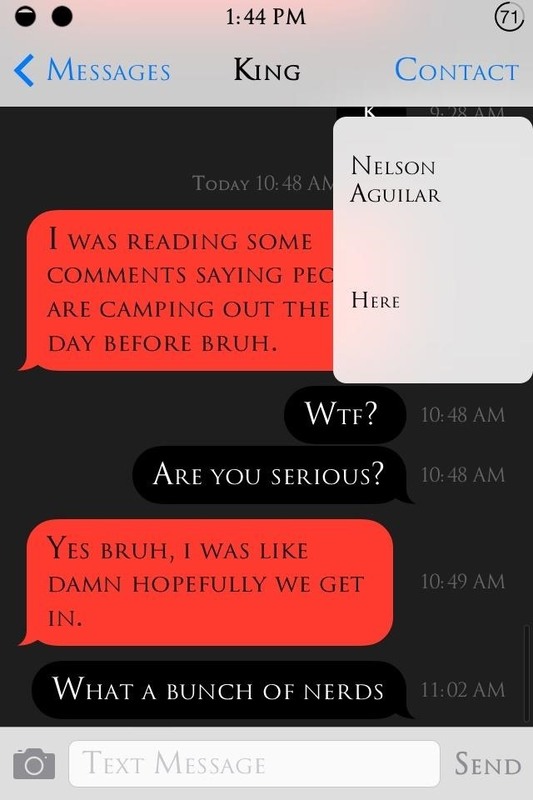 Also available is the ability to disable previews, which show up right before you switch conversations. Wrap Around is the function to cycle through to the last conversation then swipe again to go back to the most recent one. Also, setting the edge sensitivity to high is recommend and the most accurate method of using this tweak. It's easy to go back and forth with an easy swipe, which will give to NASCAR-like speeds when responding to texts. It's an easy tweak that makes things move along faster, so give a try. For more improvements to your texting game, check out my guide to 7 hacks for making text messaging faster and more fun on your iPhone.